Deciding on who to include in your wedding party can be a stressful decision. The traditional wedding party includes the Bride, Groom and their attendants. That includes best man, groomsmen, maid of honour, matron of honour, bridesmaids, flower girls, paige boys and ring bearers, for example. But with our ever changing society, this traditional wedding party is being changed, I think, for the better. There are many different types of wedding attendants and I’ll explore that a bit below. I have no issues with the make up of a traditional wedding party. My Husband and I had 6 Bridesmaids and Groomsmen (including a Maid of Honour and Best Man), 2 flowers girls and 2 ring bearers, my mum walked down the aisle with the flower girls and the my dad walked me down the aisle. It was HUGE but that is what we wanted. Women are no longer properly therefore we do not need to be “given away”. Mum can join you or another family member/ friend or you can walk down on your own to meet your partner. I’ve even had a couple greet their guests on arrival to the ceremony. And then, when it was time to start the ceremony, they both walked “down the aisle” together. The possibilities are endless. 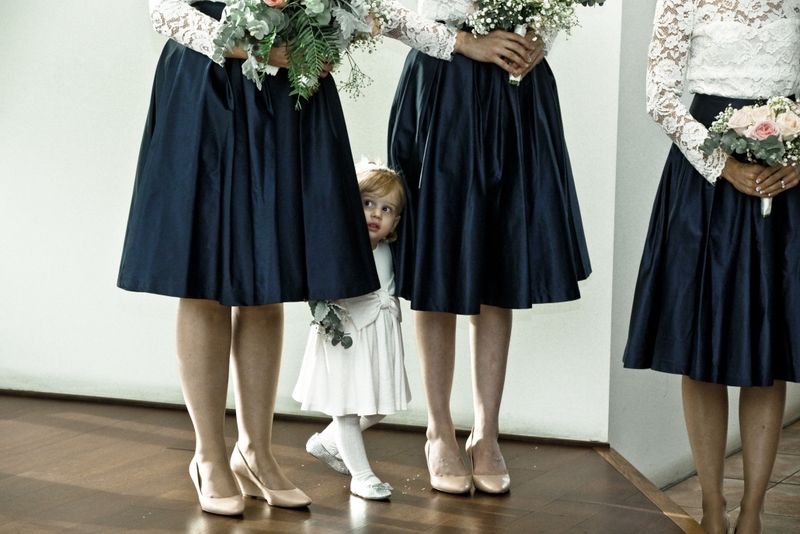 What are the different types of wedding attendants? Other options for wedding attendants include: Bridesmen, Groomswomen, Guests of honour, Dog of Honour, Honoured Attendants, Parents, Grandparents, Drone Ringbearers… or even just the two of you with no honoured attendants. Sides don’t have to be equal and, sometimes, one side even has no one. Your wedding day is about you! What better way to do things your way with the people who care most about you standing beside you on one of the biggest days of your life. There are no rules (except for the legal components) so lets work together to make your ceremony perfect you.